The Alcatel Onetouch Award-winning 4G LTE IDOL 3 smartphones has been launched in Ghana with two juicy offers for people who would buy the phone from Vodafone and Itsalat International Ghana (i2) outlets. 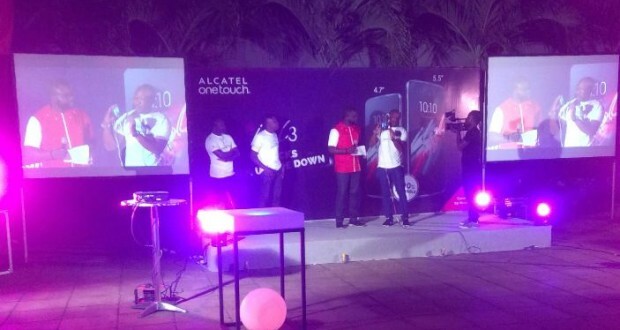 Head of the Alcatel Onetouch team in Ghana, Robert Oduro told Journalists its strategic partner saying Vodafone is offering free 9GB data and a free smart watch for every purchase of the handset on its network. “The free data from Vodafone is for the first six months you use the phone and the smart watch is not only compatible with idol 3, but with other Alcatel Onetouch android handsets,” he said. The handset comes in two sizes, the 4.7 inch screen and the 5.5 inch screen. And they each come in regular and dual SIM versions. Together with the smart watch, the 4.7″ screen phone goes for GHC1,400 and the 5.5″ version with the watch goes for GHC1,650. Both come with a rather unique 100% reversibility feature, which means users can hold the phone upside down and the screen interface will flip automatically. “No matter how you hold the phone the interface is right side up and it has speakers and microphones on both sides so no need to look for where the microphone is when you get a call – just pick it up and speak,” Oduro said. Alcatel Onetouch Sales Director for West Africa, Tidiane Gueye said the 100 reversibility was designed to solve the problem where phone users miss calls because they delayed in picking the phone from a bag or pouch and looking for where the microphone was. He said this new innovation makes it easier for users to pick the phone and just speak, no matter the orientation. 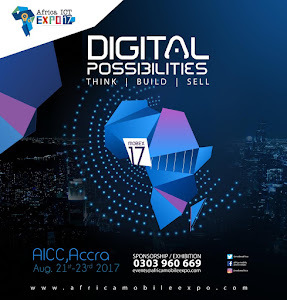 “We look forward to entrenching the Alcatel Onetouch brand in the Ghanaian market and building sustainable and mutually beneficial relationships and partnerships,” he said. At the launch, held at the plush Montecello Hotel in Accra, three radio and TV personalities were on hand to display the various uses of the phone. DJ Vyrusky displayed how the mixer app on the phone works; Antoine from Live FM treated the audience to the camera features and 100 per cent reversibility, while Blaq Boy of GHOne TV displayed how the smart watch works with the phone. Itsalat International (i2) is the sole authorized distributor of the handset in Ghana.